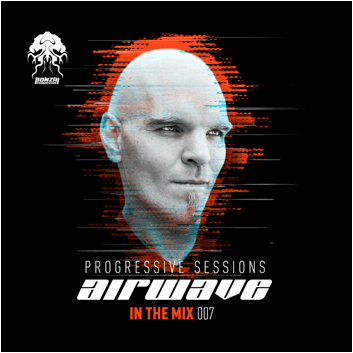 It was Airwave who fired the starting shot for Bonzai’s now three-years-and-running ‘In The Mix – Progressive Sessions’ series back in the summer of 2015. Maintaining a clockwork-regular two-per-year release-tempo, it most recently dropped Gai Barone’s Feb-released ‘006’ edition. ‘ITM007’ - out this autumn, sees its mix-baton passed back into the hands of the Belgian, who mixes 28 tracks in 150 minutes. Along its path you’ll make contact with artists such as Gai Barone, Jerome Isma-Ae & Alastor, John 00 Fleming, Eelke Kleijn, Oovation & Yoachim, The Stupid Experts, Stan Kolev and more. It also includes material from Airwave’s own recent release, as well as new production ‘Attraction’ and two purpose built intro pieces, which establish the feel for each of its discs. ‘ITM007: Intro Part 1’ places the anticipatory sounds of an orchestral string section tuning up against atmospheric pads and intruding drum march. Scene set, it cedes to allow the melodics of Eelke Kleijn’s ‘The Calling’, Slam Duck’s retake of Narel’s ‘Circle Sky’ and Airwave’s own ‘Gravy Train’. Around its midpoint, Rauschhaus’ rebuild of Oovation & Yoachim’s ‘Open It Wide’ finds common ground with ‘Night And Day’ from The Stupid Experts. As Mix1 nears its end, Laurent feeds ‘Bliss’ - the lead track from his latest EP – into its system, before reaching its atmospheric apex through ‘Eclipticum’ from Cortex Thrill. Drums and scudding bass notes herald mix 2’s arrival. Basil O’Glue’s ‘Shrine’ flashes the steel; Stan Kolev’s ‘Utopia’ (in its Audio Noir Trip version) adds darker, even more sonorous notes, while ‘Voyage’ from Andromedha ups its celestial ante. Midway through, Airwave slips his newie ‘Attraction’ in, which makes a connection to Gai Barone’s ‘Flash’. As the ether turns darker again, Jerome Isma-Ae & Alastor’s ‘Timelapse’ bring the moodily rolling bass and crunchier percussive elements in. That sets up John 00 Fleming & EEEmus’ ‘Drop From The Vile’ up to deliver the release’s final track.